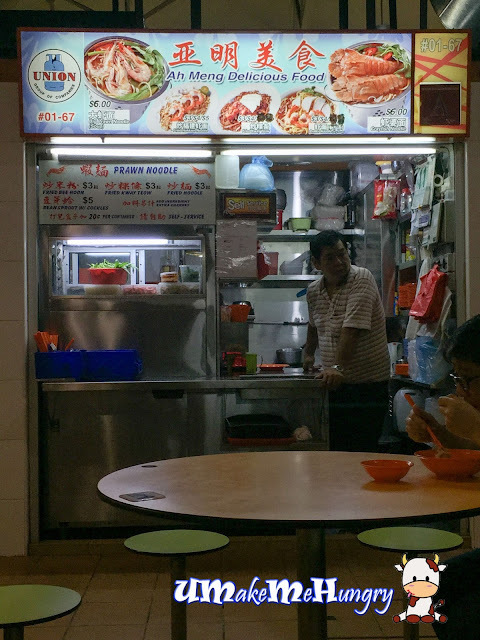 Ah Meng Delicious Food Stall is one of the few stalls that was opened during dinner hours if you have visited the small scale hawker centre in Clementi Ave 2. If not for the guy's craving, I would have gone else where as there was limited food choices for dinner. Stall is manned by a couple in the 40s with the man taking order and lady doing the cooking. If you take a look, majority of the dishes listed have prawns as their ingredients. Surprisingly they are also selling Fried Kway Teow and Crayfish Noodle. We ordered the largest fried hokkien. 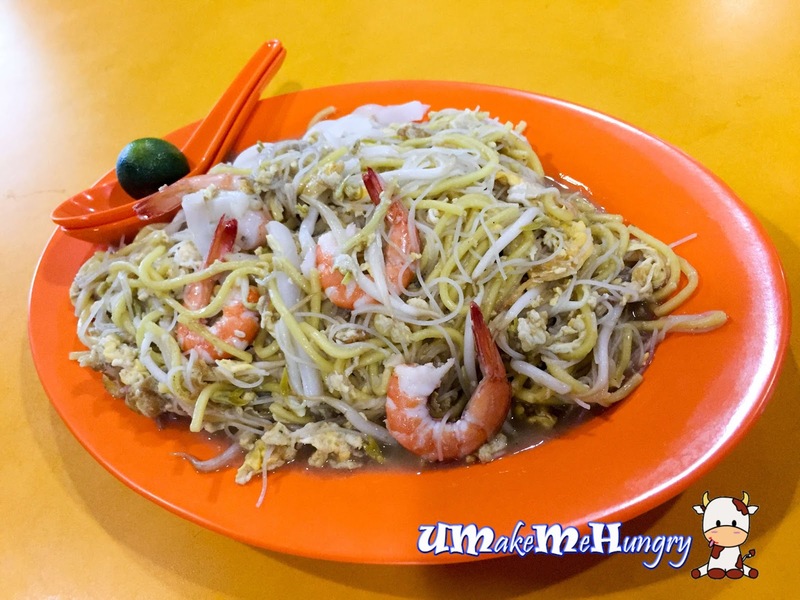 It had a good mixture of white bee hoon together with yellow noodles. Sotong was sliced to its thinnest that I had mistaken them as Kway Teow. Sotong was translucent, quite different from the ones we had. 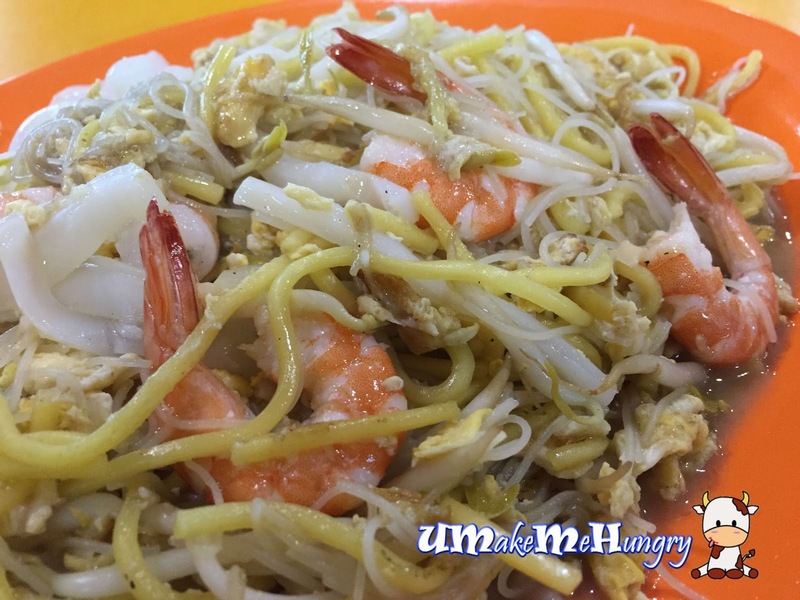 Fried Hokkien Noodle tasted light and did not have over powering use of prawn stock. I enjoyed the loaded amount of wetness from the dish as well as the generous use of eggs increasing a pleasant taste in it. Though cooking style may not be similar to the mainstream plates of Fried Hokkien Noodle we had, ingredients used were relatively the same with beansprouts, prawns etc. Overall, it was a comforty and contented meal to someone who have been missing the dish after shifting out from clementi for a period of time.